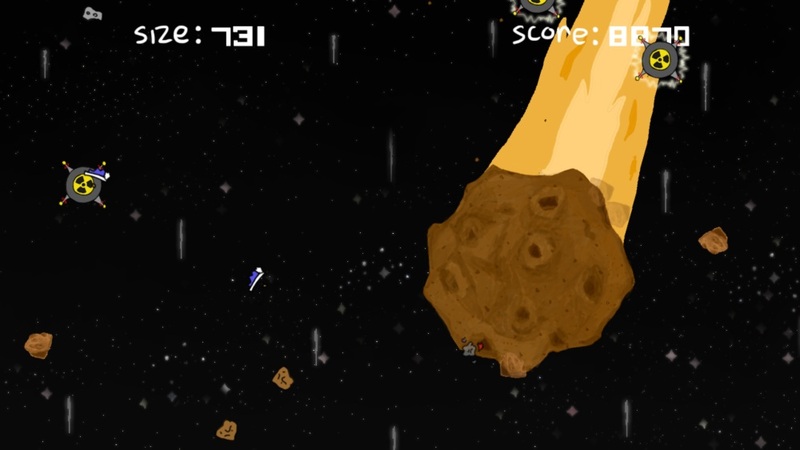 The premise of the game is simple: you control a rogue asteroid (because asteroids are always rogue) and your goal is to go all Katamari Damacy on space junk as your zoom towards Earth. Will the Earth be completely wiped out or is the asteroid just going to bounce off a mailbox? You control the fate of billions. The controls are very straightforward with movement on the stick and a single button to boost. Collecting space rocks will increase the radius of your asteroid and will make a satisfying "clunk" as it attaches. 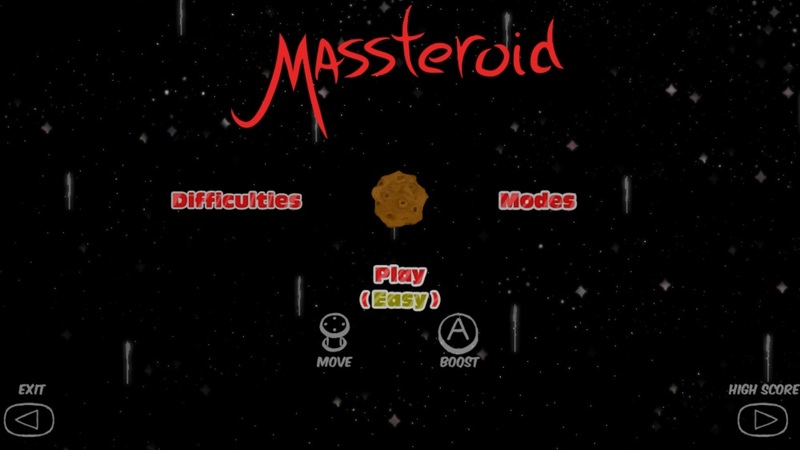 Now you totally understand the name of MASSteroid because it's an asteroid that builds mass. Getting hit by electric mines and missiles shrinks your mass, though makes it easier to navigate the debris field. Collecting the space ship granted temporary invincibility that I totally didn't need because of my epic skills. My spinning asteroid by this time was taking up more than a quarter of the screen and I grew anxious as it neared the atmosphere. Well what did you know, an asteroid with size near 1000 (units?) crashing through the planet results in complete "planetary obliteration" of 7 billion people. The cutscene was pretty good for an indie game and fit the almost cartoony nature of the game. When I played it hands-on again more recently, there was a lot more polish, better UI, score and recently added features no where to be seen in the early build. One of the modes I unfortunately still haven't had a chance to play is the Pizza Mode. Makes me hungry looking at it from the trailer. That alone is enough for me to drop some money and support some developers I'm sure had eaten lots of pizza to get the game out. Can you please email me at moc.modgnikythgim|mik#moc.modgnikythgim|mik I'd love to send you some exciting news and an exclusive preview about what's next for Massteroid.